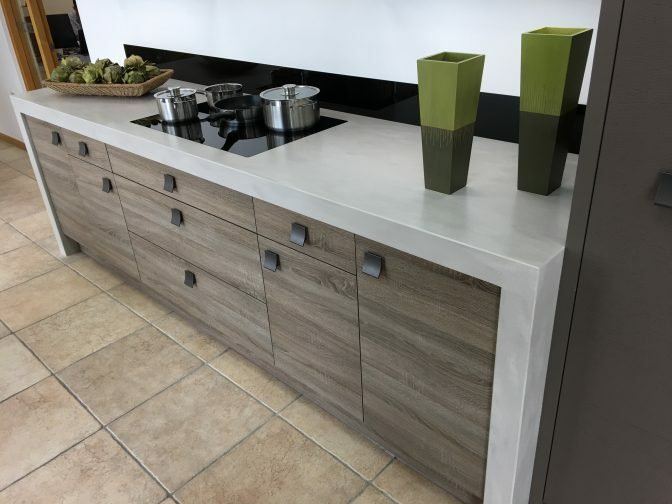 Counter Production love the colour choice of Sylvarna Kitchen Design‘s Neutral Concrete Corian Display. Simple clean lines enhance the use of Neutral Concrete Corian® to achieve the same look as cast concrete, but with all the benefits and features of solid surface. At nearly 3 meters long, the seamless worktop, 80mm thick, at first glance gives the impression of a solid lump of cast concrete. On closer inspection, the stunning effect is created in DuPont’s new 2017 solid surface color, complete with down-stand in the same thickness. 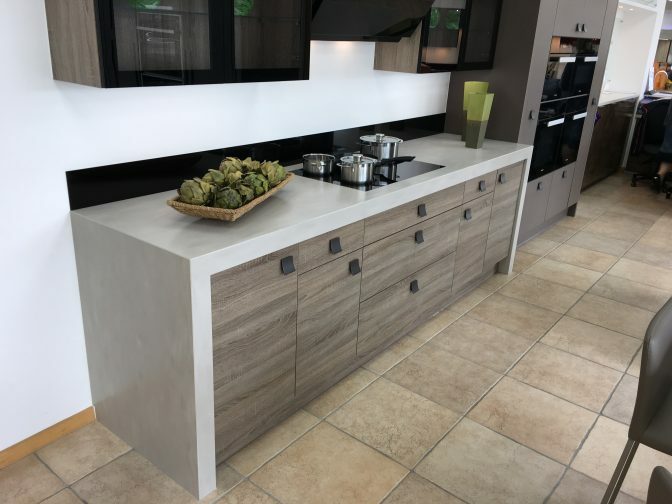 Beautifully complimented by the natural looking cabinets, the overall look is harks at solid, industrial design, a style that has grown in recent years. Founded in 1983, Sylvarna is a family business specialising in designing, creating and installing the finest British-made, bespoke kitchens that deliver the very best in design values, build quality, practicality and lasting beauty.